Jacqueline Ball, Digital Strategist and Social Media Marketer for Sozoe Creative, writes, why Pinterest is the most underrated social channel for marketing and how Pinterest consistently produces the strongest results – sometimes as high as 400-500 percent ROAS each month. Pinterest has quietly worked its way up to become a global platform, now with 250 million monthly users and 175 billion pins on the site. Marketers can no longer ignore Pinterest, and understanding its strengths will help them properly develop a strategy that garners results. At Sozoe Creative, we’ve seen return on advertising spend (ROAS) as high as 300-400 percent for e-commerce clients on Pinterest – evidence that the site is a valuable tool for any digital marketer. When marketers utilize social platforms, like Facebook or Instagram, they employ an interruptive marketing strategy, meaning the message is powerful enough to take users away from their original purpose for visiting the site. Marketers can use things like behavior traits and interest targeting to help attract the attention of their target audience, but the content needs to be compelling enough to effectively catch the user’s eye. In contrast, on search sites, like Google, users usually have an idea of what they are hoping to find. To brands trying to reach consumers through search sites, this means messaging should be developed to fit the mold of what their target audience is seeking. While Pinterest is largely regarded as a social media platform, the website is best defined as a combination of a social platform and search tool. Essentially, Pinterest is a visual search engine. Users come to the site to search and discover new products or ideas. This difference makes Pinterest exceptionally valuable for marketers. Instead of interrupting their target audience’s experience to engage with them, marketers are speaking to an audience that is already engaged and looking for answers. Because Pinterest is a visual platform, it is more compelling and captivating for users than traditional search. Pinterest users visit the site with a search intent, which results in the highest average order values when compared to Facebook, Instagram and Twitter. In fact, Shopify found that the average order value of sales coming from Pinterest was $50 higher than any other social platform. At Sozoe Creative, we’ve experienced average Pinterest sales more than $650 higher than average sales on Google AdWords. Pinterest users utilize “boards” to save and organize all of their pins, so the content that interests users is saved in an always-accessible place. The search and save component provides incredible value for brands, as evidenced by the average value orders on the site. At Sozoe Creative, we’ve consistently seen higher average sales on Pinterest than Google AdWords, with the differences sometimes as high as $650. Additionally, 93 percent of users plan purchases on Pinterest, and one of two people have made a purchase after seeing a Promoted Pin. Surpassing Twitter, Pinterest is now the second largest driver of traffic from social media sites. The audience comes from around the globe, with more than half of current users, and 80 percent of new users, coming from outside the U.S. Forty percent of Pinterest users have an annual income of more than $100,000. More discretionary spending capabilities make Pinterest users a valuable target for marketers. Marketers who are targeting men may be quick to rule out Pinterest as a valuable medium. Women may still dominate Pinterest’s audience, but 40 percent of new signups are male, meaning there is a great opportunity for marketers to reach men on the platform, especially among those male early adopters of the platform. Having a majority of female users, only means that brands target women will experience more competition. Male-targeting brands will experience far less competition on Pinterest. To further grow its male audience, Pinterest has implemented capabilities like factoring in gender when producing personalized search results and Promoted Pins. In comparison to other key social media players, Pinterest is still a relatively young platform. Marketers can take advantage of the site’s youth through its bidding system. Like Google AdWords, the more demand for a certain placement, the higher the price becomes. $0.20 – $0.50 bids can still get brands in the dominate ranks of searches on Pinterest, a fraction of what would be paid for certain placements on Google. 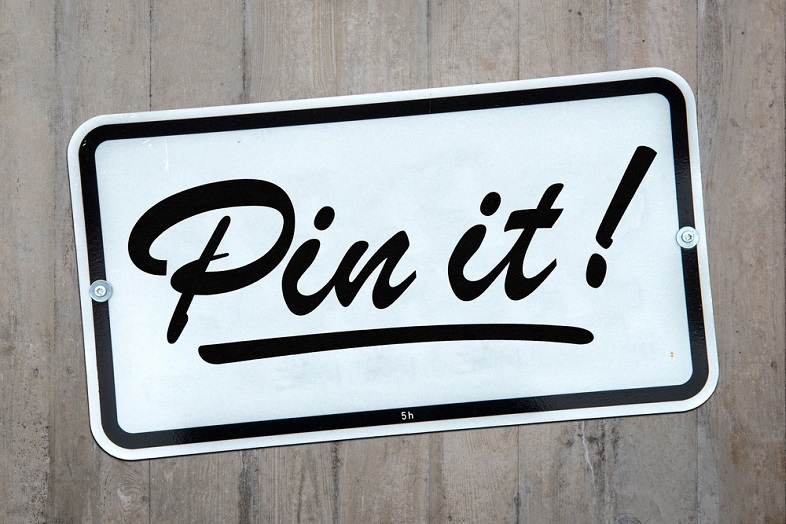 For every “re-pin” a pin receives, 11 more profiles see that content, giving Pinterest great earned media potential. The average shelf life for a pin is 3.5 months, far above the lifespan of content on any other social media platform. Low costs for top placements, coupled with strong earned media potential, allows for the overall return on investment (ROI) to significantly increase.